Seemingly quiet and reserved, Rachel Garcia is having the time of her life on the field. Named the 2018 USA Player of the Year, you would be hard-pressed to find anyone who would disagree with the nod. Stealthy and cunning in the circle, Garcia is also a beast in the batter's box. 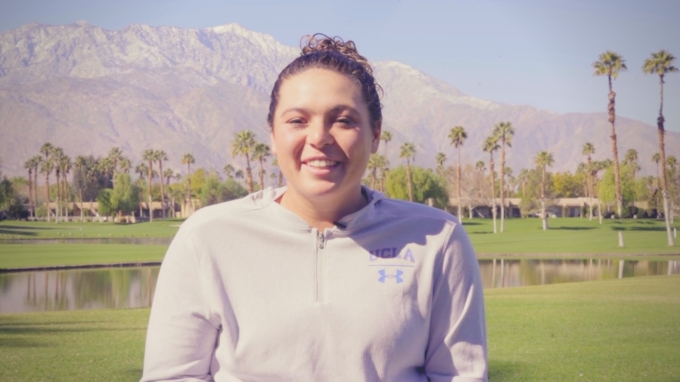 Many have drawn comparisons to legendary UCLA Alum/Coach Lisa Fernandez, but Garcia is confident in being herself. This is Rachel Garcia.